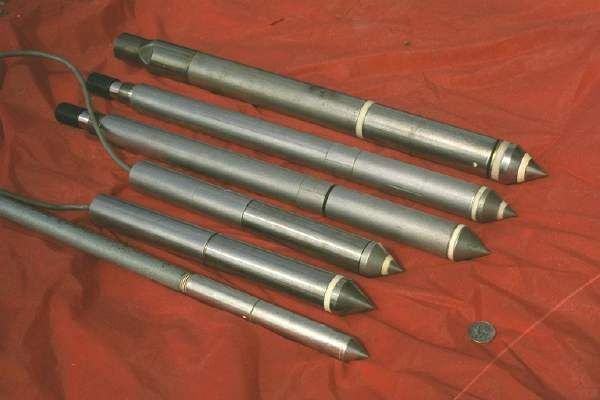 A CPT device consists in a cylindrical probe with a cone-shaped tip with different sensors that allow a real time continuous measurement of soil strength and characteristics by pushing it into the ground at a speed of 2 cm/s. The typical CPT probe measures the stress on the tip, the sleeve friction and the porewater pressure. Some of them are equiped with a geophone in order to be able to perform shear wave velocity measurements. The data is normally read by a field computer that displays it real-time and stores it at regular depth intervals. Measurements can be taken at any intervals desired, being 2.5 cm the interval used by Georgia Tech In-Situ group. 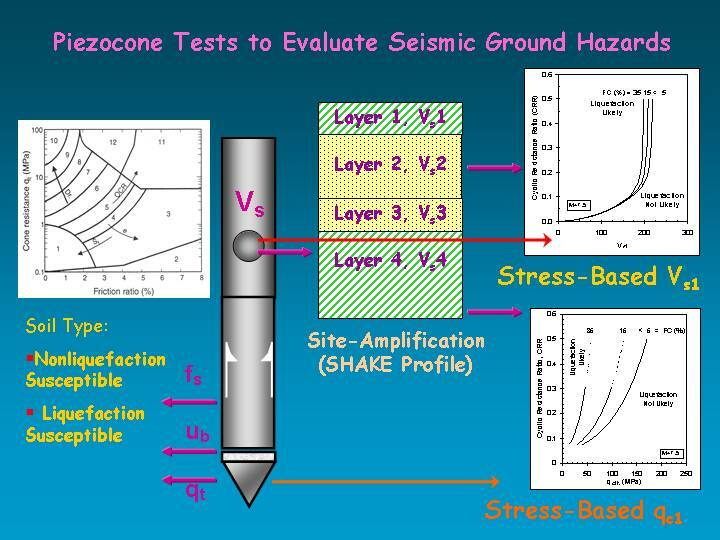 The following graph depicts a normal cone penetration test. 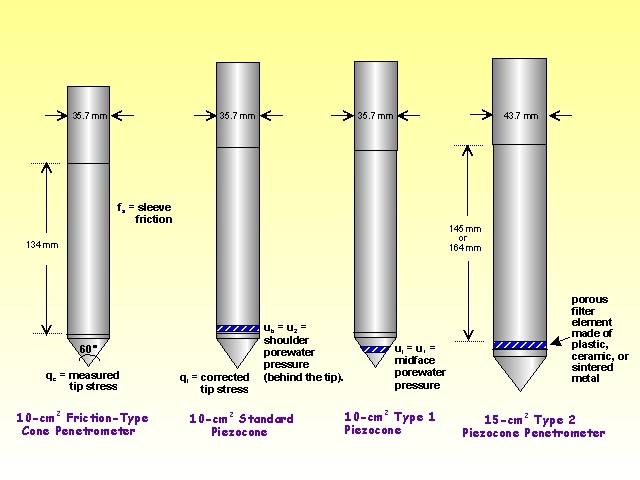 There are several configurations of cones that vary mainly the position of the pore pressure element. This different configurations are shown in the following graphs.